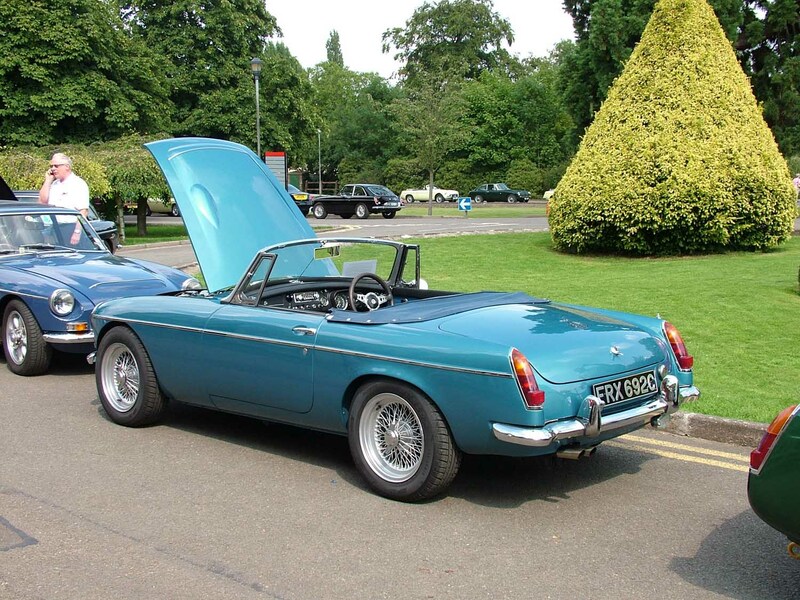 The first project code allocated in 1961 for the new ‘Six-Cylinder MGC Sports Car’ was ADO52. 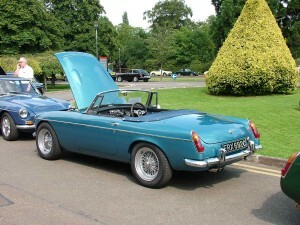 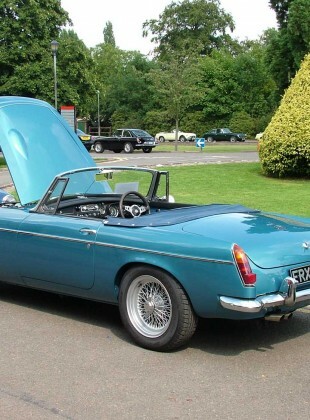 but it was not until 1965 that the First Prototype MGC Roadster was manufactured. 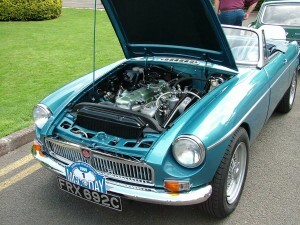 Initially starting life as a pre 1965 MGB pull door handle body shell, assembled by Pressed Steel in Swindon Wiltshire. The original shell was then taken to Morris Bodies Plant in Coventry where the extensive off tools modifications were made to accommodate the torsion bar front suspension necessary to take the Alec Issigonis newly designed seven bearing Six-Cylinder Engine. 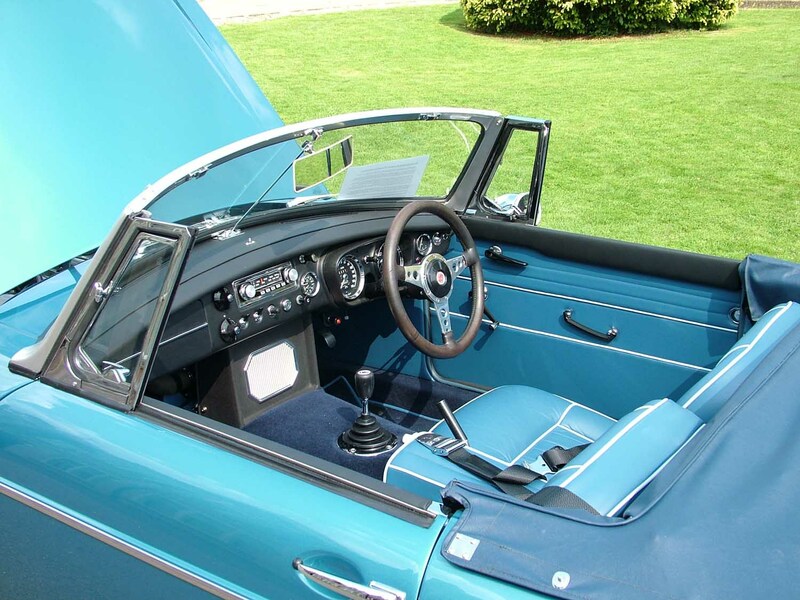 The original body shell floor pans were cut across the car beneath the seats & the front of the rear pans were then raised to allow fitment of the channel section that supports the rear of the torsion bars that have vernier adjustment to determine the ride height of the front suspension. 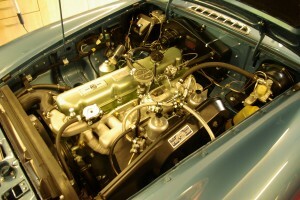 In order to fit the six cylinder engine a unique ‘U’ shaped cross member was fabricated complete with engine, steering rack and front torsion bar mounting points. 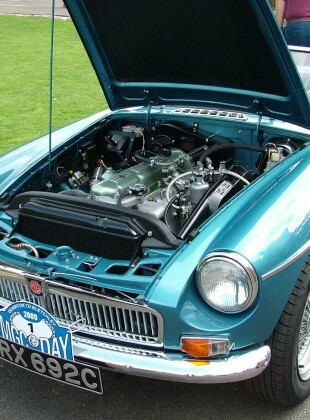 The original Mk1 MGB transmission tunnel & inner front wings were cut and shut to allow the fitment of the new cross member, engine and four speed manual transmission with overdrive unit, and the optional Borg-Warner BW35 automatic transmission. The bonnet locking panel was completely redesigned and moved forward to allow fitment of the radiator, the bigger oil cooler was then fitted on the new radiator duct panel. Moving the radiator forward then meant it was too high to clear the underside of the original MGB bonnet, the traditional MGC large bonnet bulge together with the teardrop to clear the carburettors evolved to become a distinguishing feature of the New Model. 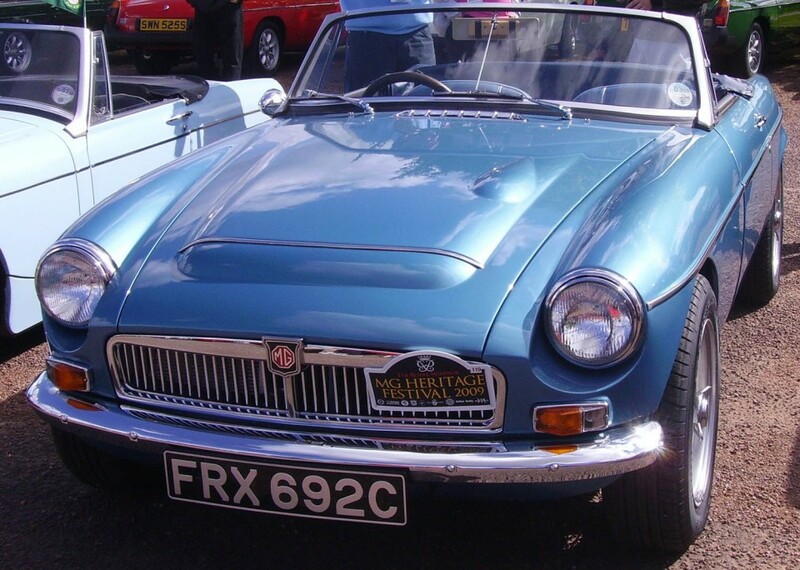 To finish this prototype the redesigned shell was painted in Riviera Metallic Silver Blue and this was to be the first MG painted in a metallic colour. After the initial manufacturing modification work was completed the Prototype Chassis no. 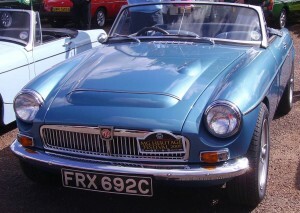 GCN1/100 was road Registered FRX 692C on 1st December 1965. 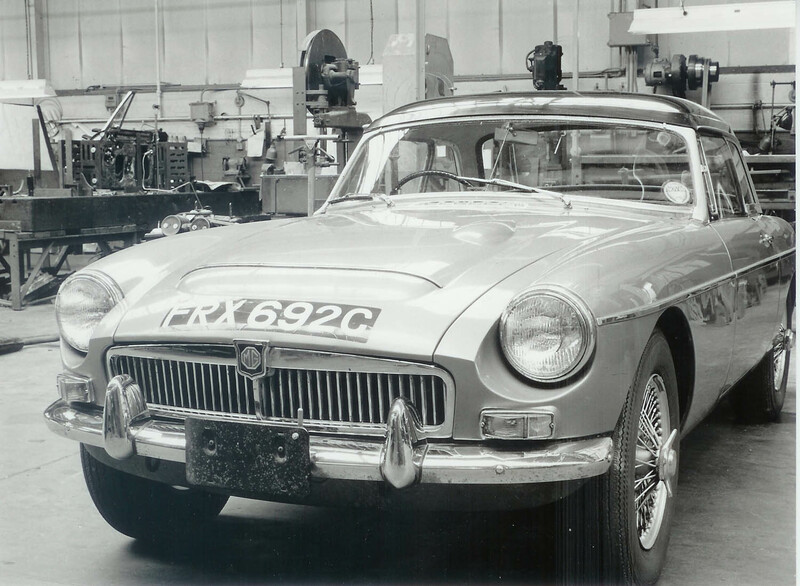 During the development & evaluation work FRX 692C had a combination of fourteen engine, transmission & axle options were tested and at one stage during development this included the fitment of a Coventry Climax V8 Engine. 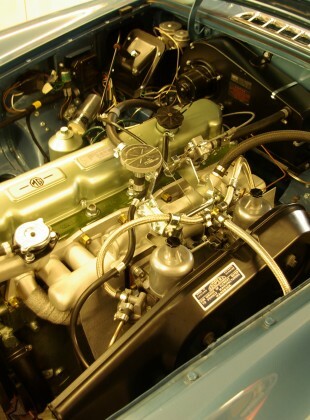 To assist engine cooling the inner wings were further modified to accommodate blowers that were fabricated from heater motors & fans running in reverse to extract hot air from the engine bay via holes cut through the inner and outer wings to atmosphere. 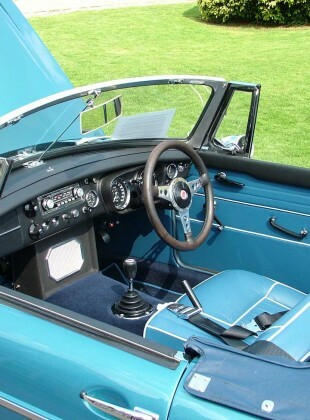 In the cockpit an instrument panel was fitted in place of the radio speaker to accommodate nine instruments measuring outside air temperature, radiator in and out water temperatures engine bay air temperatures and oil pressures. 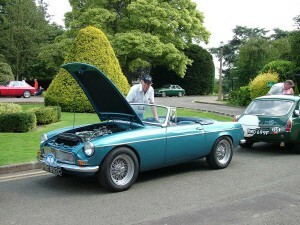 Maserati air horns were fitted as per the Works Minis & Healeys, and a Black Works Hardtop was also fitted. The Electrical system is Positive Earth and instead of a dynamo it runs on an earlier Lucas 11AC Alternator, the rev-counter is a Jaeger positive earth instrument without the usual built in ignition light that has been fitted in the dash panel and controlled by a Lucas 3AW warning light signal module. 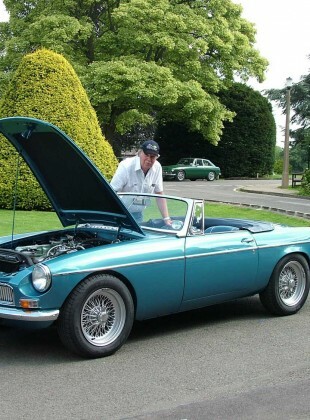 Development endurance mileage was in excess of 200,000 included 10,000 miles round MIRA in excess of 100 mph, 10,000 Miles round Silverstone averaging 100 mph, high speed testing in Germany & Italy where 140 mph was achieved. 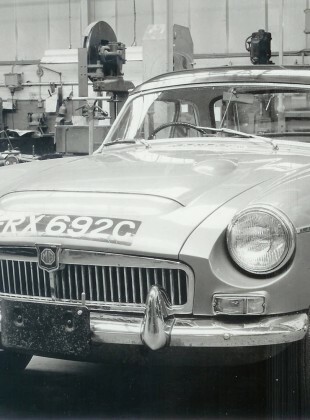 On tools production started with Chassis no.GCN1/101 and the first fourteen cars in Roadster & GT form continued with further development for Home & Export markets. 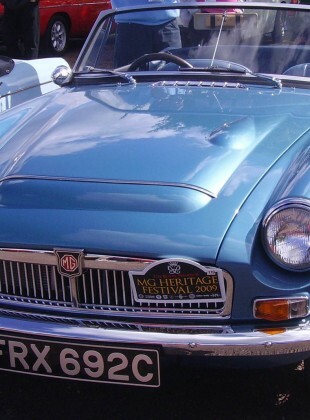 Production ceased during August 1969, the last MGC produced was Chassis no.GCD1/9102.